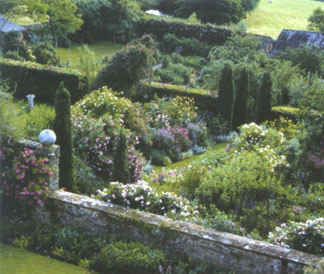 Roses were an important feature of many of the cottage gardens I visited. I discovered roses over doorways, arbors, walls, gates and even garages. 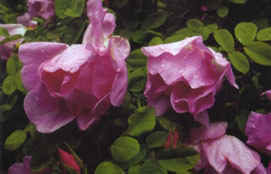 Using two very different gardens we explore the many uses and delights of roses. Underplanted with everything from delphiniums and daisies to lavender and lupines, roses were planted to frame views, as focal points and features in perennial borders, and as foundation plantings.